The Burke County Sheriff's Office has partnered with the National Shooting Sports Foundation to help make our community and homes safer. Project ChildSafe is a program to promote firearms safety and education. Sheriff Alfonzo Williams joins the NSSF in its comittment to promote genuine firearms safety through the distribution of safety education messages and free firearm safety kits to communities across the U.S.
More than 37 million gun locks distributed through local law enforcement. f you would like a free Project ChildSafe Safety Kit, which includes a cable-style gun lock and safety instructions visit the Burke County Sheriff's Office Monday-Friday between 9 a.m. and 5 p.m. The "Own It? Respect It. Secure It." 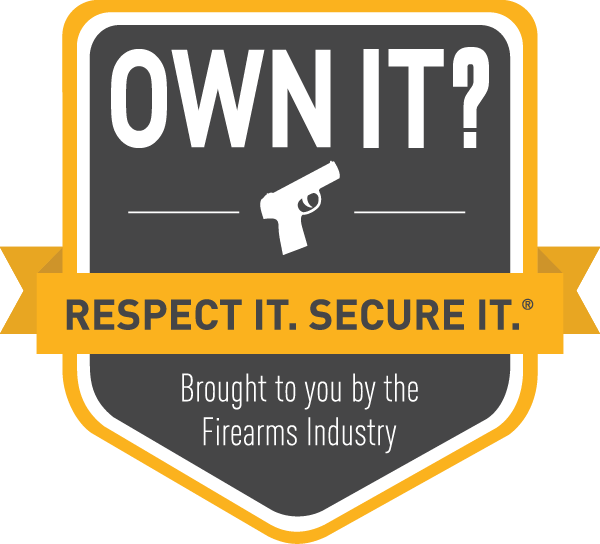 initiative is an industry-wide commitment to raise the public’s consciousness on the issue of firearm safety and responsibility and encourage firearms owners to embrace the importance of proper storage. With our collective voice, we are amplifying the following message to gun owners: "Store firearms responsibly." Project ChildSafe is the largest, most comprehensive firearm safety education program in the U.S. It was developed by the National Shooting Sports Foundation, the trade association for the firearms industry, and is committed to promoting genuine firearm safety through the distribution of safety education messages and free firearm Safety Kits. The kits include a cable-style gun-locking device and a brochure (also available in Spanish) that discusses safe handling and secure storage guidelines to help deter access by unauthorized individuals.